Last Thursday the Cologne R user group came together again. 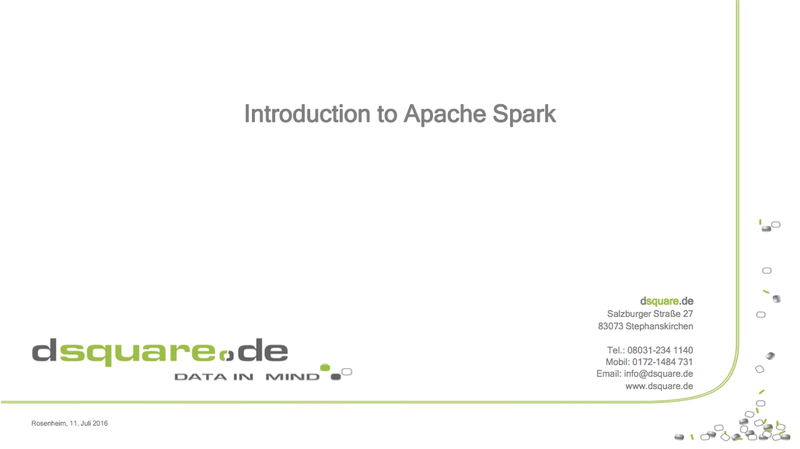 This time, our two speakers arrived from Bavaria, to talk about Spark and R Server. Dubravko Dulic gave an introduction to Apache Spark and why Spark might be of interest to data scientists using R. Spark is designed for cluster computing, i.e. to distribute jobs across several computers. Not all tasks in R can be split easily across several nodes in a cluster, but if you use functions like by in R, then it is most likely doable. The by function in R splits a data set into several subsets and applies a specific function to each subgroup and collects the results in the end. In the world of Hadoop, this is called MapReduce. Spark has an advanced DAG (directed acyclic graph) execution engine that supports cyclic data flow and in-memory computing. Additionally, Spark has a direct API for R, which makes it relatively ease to write applications with Spark. Since the acquisition of Revolution Analytics in 2015, Microsoft has been busy integrating R into its product offerings. 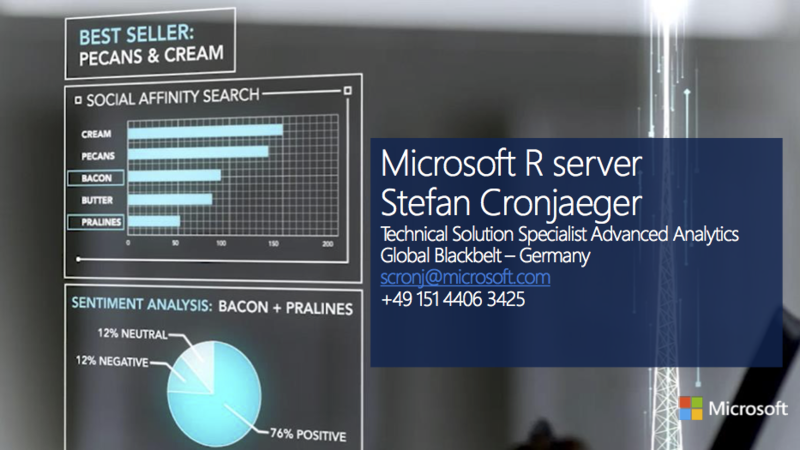 Stefan Cronjaeger gave an overview of how R can be integrated into a production environment. Microsoft R server aims to solve the problem of doing ‘big data’ analytics with R, which allows to carrying out in-memory and disk-based data analysis. Additional new tools are called ScaleR for big data and parallelized analytics, ConnectR to connect to various other data sources, DistributedR for grid computing. Finally, Stefan showed us how Visual Studio can be used as an R development environment, similar to RStudio. The next meeting will be scheduled in about three months time. Details will be published on our Meetup site. Thanks again to Microsoft for their support.